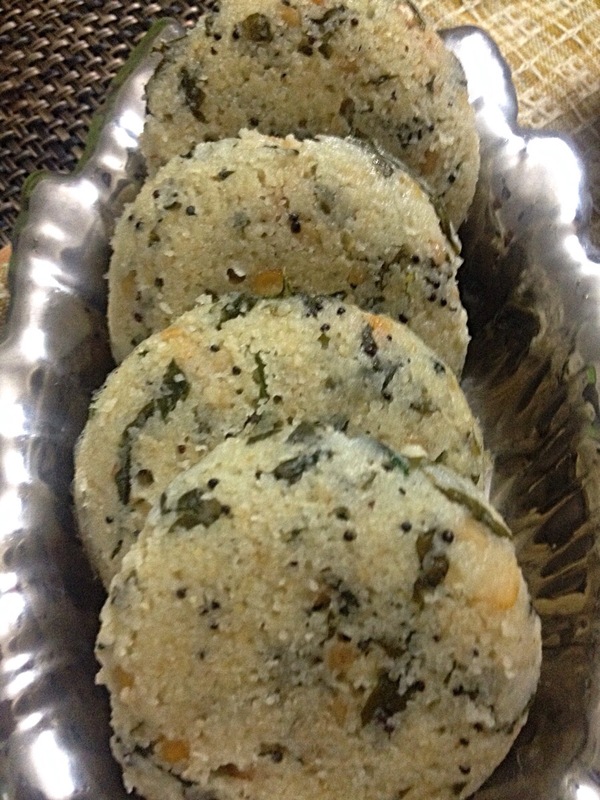 As I have mentioned earlier, I have been following Mrs.Mallika Bhadrinath’s recipe for Rava( semolina) Idli for almost 16 years. I have tried many variations and it has always come out well. Perfect for breakfast as it has good complex carbohydrates, protein, fiber, vitamins and minerals. Add mustard. 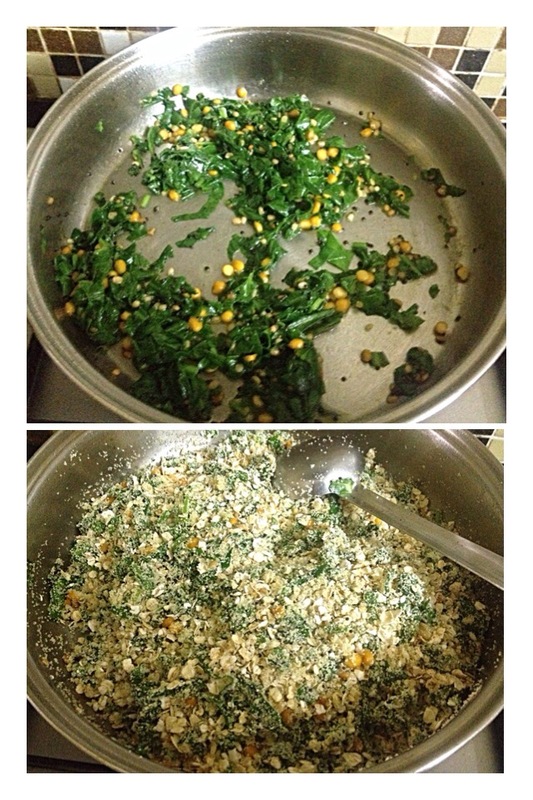 When it starts spluttering, add urad dal, chana dal and hing.Sauté till the dal becomes golden. 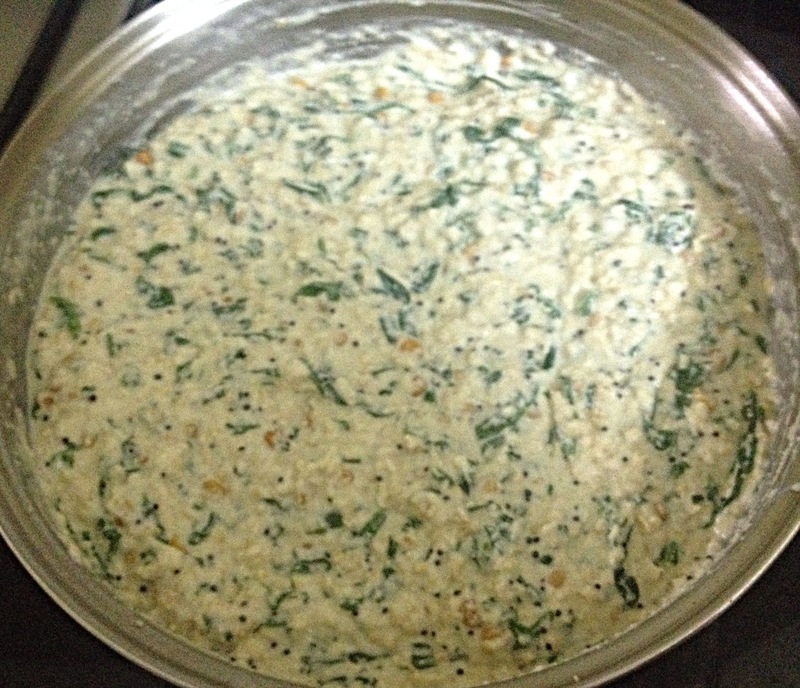 Add the chopped palak and sauté till it become almost dry. Switch off the gas. 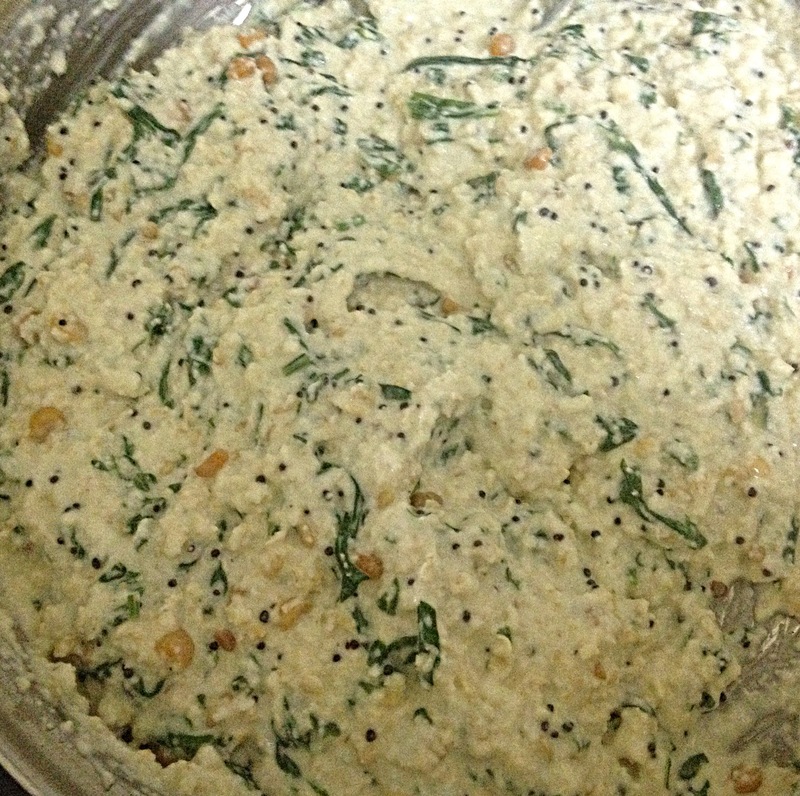 Add rava and oats and mix well. 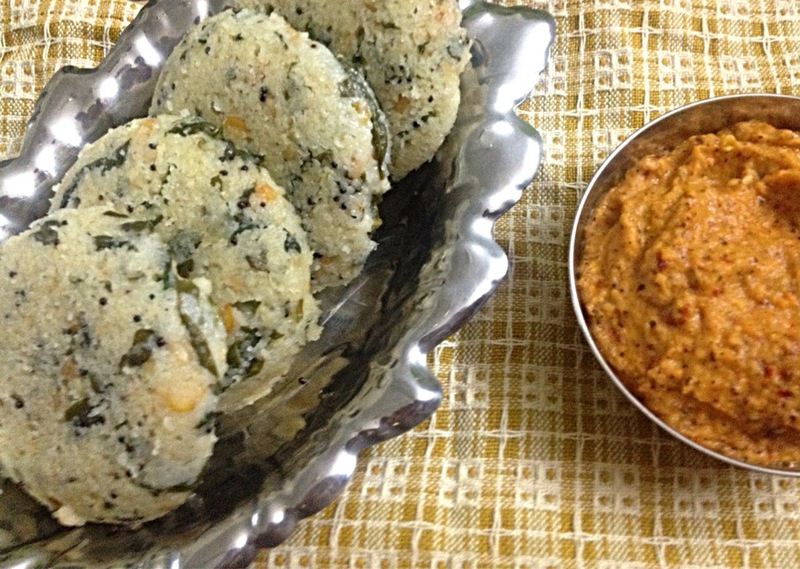 I tried the Oats Rava Spinach Idly along with the Onion Tomato Spicy Chutney recipe of yours and they turned out awesome. My husband and I really loved the combination. I have added this combo to my list of breakfast items. Thank you Anu! Thank you so much for your feedback Samantha:) Am really happy that you all liked it.